Best price in the building. 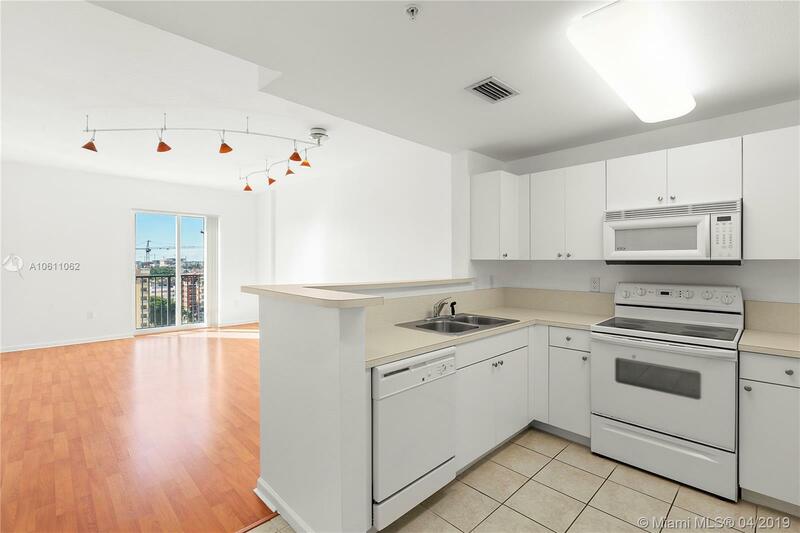 High Floor, updated wood floors, pool views, washer/dryer in the unit and a parking space. Located in the heart of Coral Gables next to Miracle Mile. This pet-friendly building has a secure lobby and great walkability for any end user. You can also rent it out 2 times a year with a 6-month minimum. Very easy to show. 10 Aragon offers quality finishes and improvements such as 9-foot ceilings, custom cabinetry, glass curtain walls, decorator lobbies and other elegant items. Amenities include an outdoor swimming pool, Jacuzzi, spa, fitness center and business center. The content relating to real estate for sale on this web site comes in part from the IDX program of the JTHS Council of the MIAMI Association of REALTORS® and their Multiple Listing Service. The copyright for these listings is under the © 2019 MIAMI Association of REALTORS® MLS. This information is not verified for authenticity or accuracy and is not guaranteed. The information provided is for consumers personal, non-commercial use and may not be used for any purpose other than to identify prospective properties for purchasing. This information was last updated as of date specified below. Some properties which appear for sale on this web site may subsequently have sold or may no longer be available. Data last updated 2019-04-25 01:10:02.